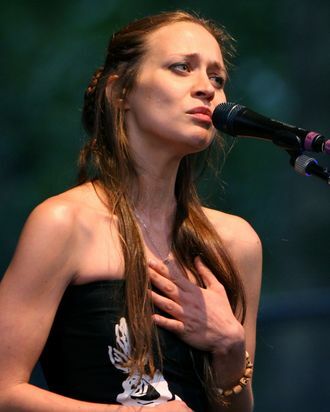 Well, this is amazing news: Not only is Fiona Apple’s latest album now rumored for a June release, but it has a title, and in the grand tradition of insanely long Fiona Apple album titles, it is twenty-three-words long. Here it is in full: The Idler Wheel is wiser than the Driver of the Screw, and Whipping Cords will serve you more than Ropes will ever do. Granted, that title is 67 words less than the full When the Pawn… poem, but there are so many more nickname possibilities here. Idler Wheel! Driver of the Screw! So dramatic. Welcome back, Fiona, and never, ever change.